What is recursion in C++? What is recursion in C++ with Example? A programming Technique in which a function calls itself is known as recursion in C++. A function that calls itself is called recursive function. The recursion is a powerful technique. 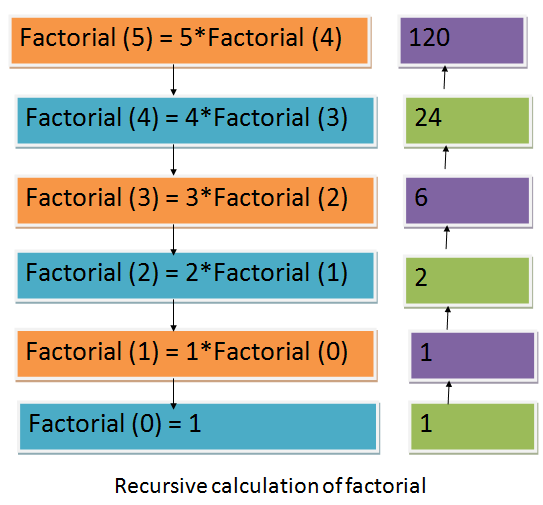 The calculation of factorial of a number is a simple example of a recursive technique. Suppose the factorial of 5 is to be calculated. The Above figure shows that factorial can be calculated by decomposing the problem. The factorial of 5 can be calculated by multiplying 5 with the factorial of 4. 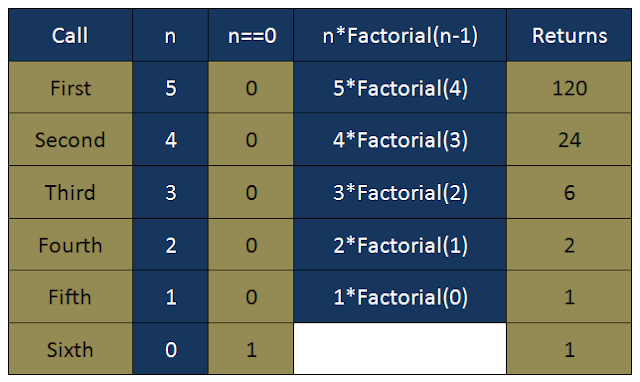 The factorial of 4 can be calculated by multiplying 4 with the factorial of 3 and so on. A recursive function must have at least one termination condition that can be satisfied. Otherwise, the function will call itself indefinitely. The Factorial function has the termination condition n==0 that causes the recursive calls to move back. Write a program that inputs a number from the user and calculates its factorial recursively. Write a program that inputs two integers and calculates the first number raised to the power of the second number recursively. Understanding Function Overloading Concept In C++. 15 C++ Different Data Types (Full Guide).